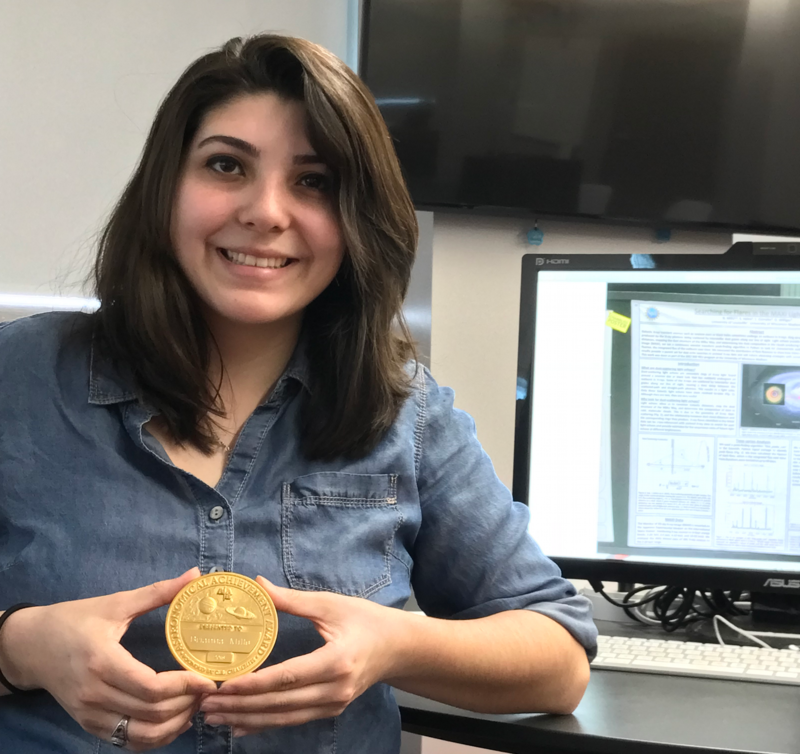 UofL undergraduate student, Ms. Brianna Mills, wins the Chambliss Astronomy Achievement Student Award at the 231st Meeting of the American Astronomical Society (AAS ) held at Washington D.C. She was part of a group of 100 undergraduate students competing for this prestigious award. 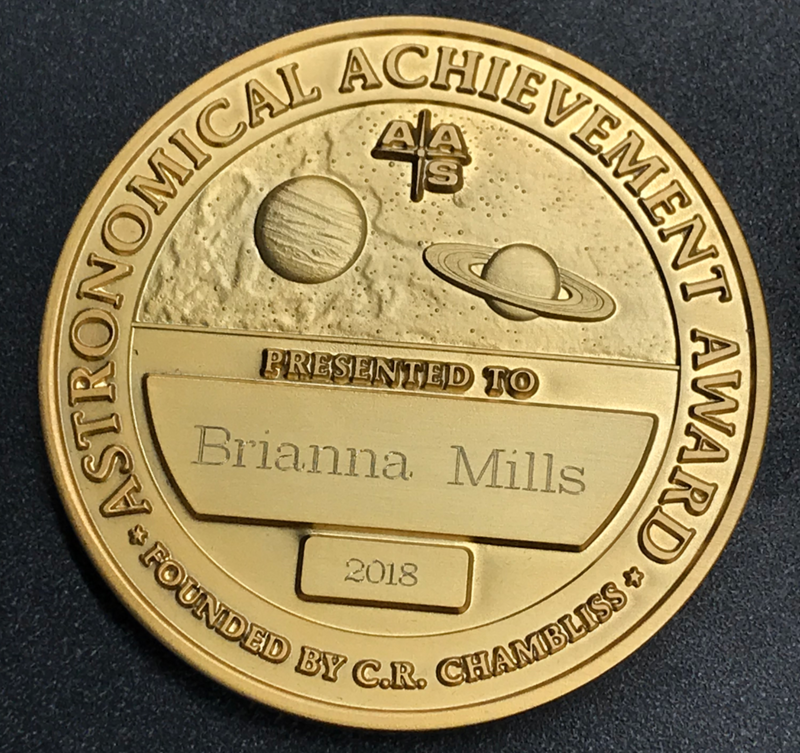 We are delighted to learn that Brianna was chosen as one of the five recipients of the Chambliss Astronomy Achievement Student Award. 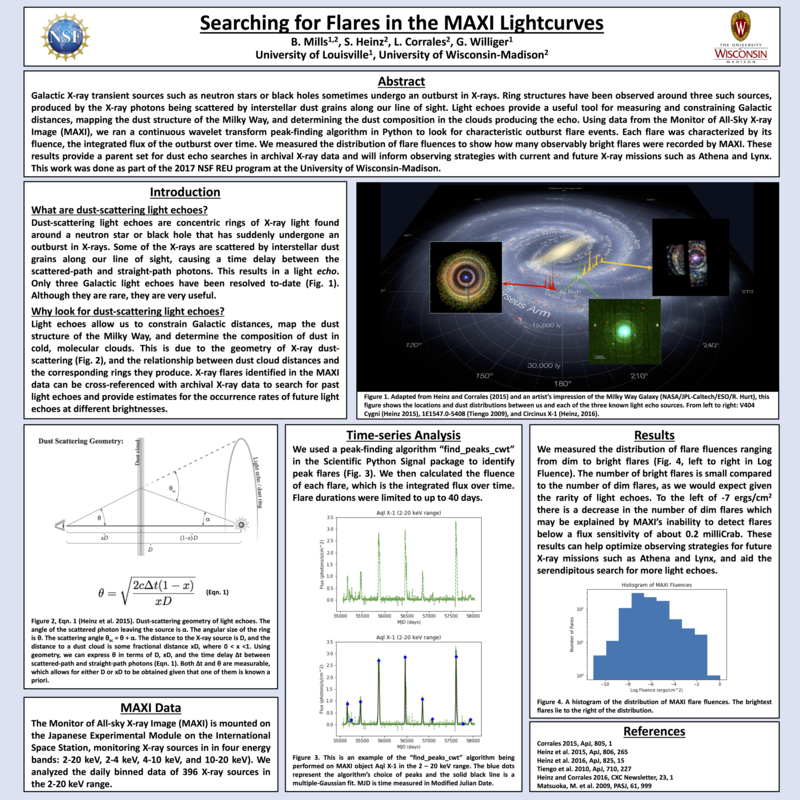 Her award winning poster was entitled 'Searching for Flares in the MAXI Light curves'. 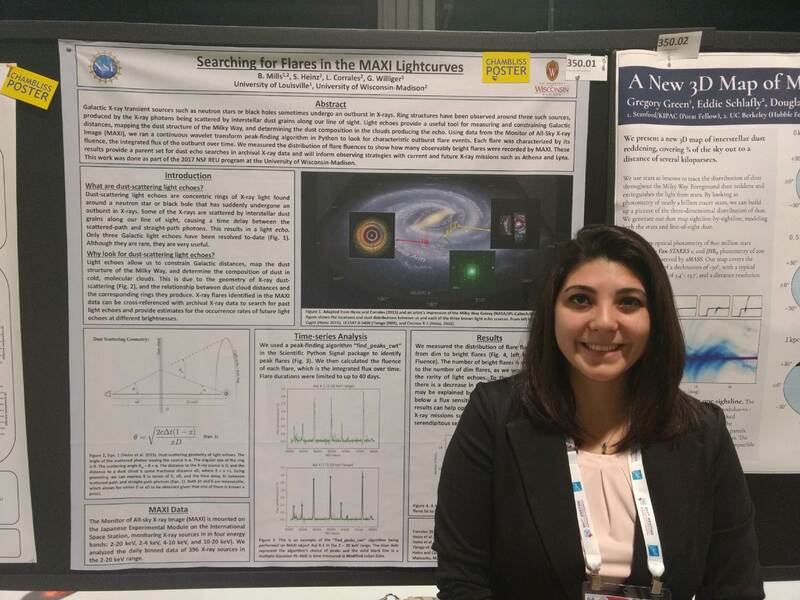 She conducted this research as a summer research project as a REU student at the University of Wisconsin-Madison.